With its production company, Greenlit, now in administration, it is unlikely we will see the outcome of the subtle-as-a-brick unresolved sexual tension between Vexed‘s central characters, Jack Armstrong (Toby Stephens) and Kate Bishop (Lucy Punch). After three largely mediocre episodes where the series’ potential only rarely shone through its pedestrian and sometimes painfully ham-fisted plots, I can’t say I’ll be particularly sad to see it go. Here is my review of a series which aimed to be a modern, British version of Moonlighting – or perhaps an episodic Hot Fuzz (a film in which Punch also featured) – but ended up being more of an Eldorado: nowhere near as bad as most people thought, but still no more than distinctly average. Police detective Jack Armstrong and new partner Kate Bishop investigate the murder of a lonely single woman, which Jack links with another recent murder whose victim had identical tastes. Their investigation takes them to the headquarters of the Honey Bee loyalty card, with Kate setting herself up as bait to draw out the killer. As I stated in my initial episode review, there were some promising building blocks here, but built on the shakiest of foundations. There was a lack of immediate chemistry between Stephens and Punch (it did improve in the later episodes, but not by much), the characterisation was questionable, and it lacked the change of pace that all good shows have, whether they be dramas, comedies or drama-comedies like Vexed purports to be. It was enough to keep me watching because I liked the premise, but the dodgy execution prevented me from giving it anything other than the most hollow of endorsements: “I’ll give it another go”. Which is what I subsequently did. Banker Andrew Bridgley has checked into a psychiatric clinic, where somebody tries to blow him up. Kate and Jack discover that someone has hired a hitman to kill him, eventually stumbling across his identity after a kleptomaniac patient steals a box of bullets from his room. Meanwhile, Jack becomes distracted by a potentially life-changing revelation. After the unevenness of the opening story, Vexed‘s sophomore outing was an improvement in some respects, but headed downhill in many others. The twist in the plot – that the man behind the (easily identified) serial killer was in fact Bridgley himself – was a clever conceit, and there was the odd moment of wry humour, such as when Kate and Dan’s marriage counsellor concludes a torrid session with “I think we’ve made a lot of progress”. But, as in the first episode, it all felt over-long – surely the hour-long plot could have been condensed into 45 minutes? – and contained too many moments which probably looked funny on paper, but not on screen. The trying-to-lift-an-obese-corpse-onto-a-trolley gag is at least 30 years old, and it wasn’t particularly funny then either. As for the revelation of Jack’s suspected testicular cancer, that was a clumsy soap opera MacGuffin which brought any semblance of parody Toby Stephens had brought to the character to a crashing halt. Were we supposed to suddenly feel a degree of empathy for the largely unsympathetic Jack? Were we supposed to laugh? I did neither. Jack and Kate look into the kidnapping of Gemma G (“G for Gorgeous”), of the girl band Candy Crew. Meanwhile, Jack braces himself for an exploratory operation on his testicle, while Kate agrees to move back to Bristol with her husband. It was more with a sense of obligation than anticipation that I sat down to watch this final episode. As such, my expectations were suitably lowered. Good job, too, as this was as turgid an hour of television as I have seen in a long time. The investigation-of-the-week is perfunctory at best, and would have been forgivable if there had been a sense of urgency and jeopardy about the events in the duo’s off-duty lives – but there wasn’t. At one point in the middle of the episode Heather turned to me, slightly confused, and asked if anything had actually happened. I had to respond in the negative. The only reason the episode gets any points at all is thanks to its final couple of minutes, which produced one predictable but still genuinely amusing moment, and in its closing moments a glimpse of what might have been in the love-hate relationship between the pair. Too little too late, sadly. The ratings for the opening episode were a respectable 2.56m, fifth-highest on BBC2 that week and virtually identical to the ‘Best of’ Top Gear compilation that gave it a strong lead-in in the Sunday evening schedule. Episode two saw the audience slide (as always happens with new shows) to 2.09m, only good enough for ninth-best on BBC2 for the week. Final ratings (which take into account multichannel and time-delayed viewing) are not yet available for Sunday’s last episode, but the snapshot ‘overnight’ ratings showed Vexed had an audience of 1.6m on BBC2, down on the equivalent numbers of 2.3m and 1.8m who watched the show’s first two episodes. The final figure will probably be just under two million – not disastrous, but not a compelling reason to renew a critically-panned series made by an out-of-business production company either. As a result, I’m pretty sure we’ve seen the last of the series. Clearly, writer/creator Howard Overman gained a commission for Vexed on the success of last year’s Misfits (a show I never watched but a number of people I know recommended). But here he over-reached himself, and produced something of a muddle which could have been excellent if he had been challenged to be more focussed in direction and much tighter with his plots and pacing. It would appear this did not happen, resulting in an unpolished stone which might have been a diamond with more care and attention. Reflecting back on all three episodes, I think what irked me about Vexed was as follows. It did have its share of funny moments – but not enough, and there were too many occasions where the humour fell flat on its face. It lacked the plotting of a ‘proper’ drama, and yet took itself too seriously too often to be a genuine parody. In short, it lacked a clear identity, and was as clueless in this respect as Jack and Kate were in uncovering the crimes they investigated. But Vexed‘s worst crime of all was that it lacked ambition. Having positioned itself, in director Matt Lipsey‘s own words, as “a Moonlighting for the Noughties”, I liked where they were aiming for. And I wanted this series to work, I really did. Sadly, it never came close to living up to its benchmark simply because it never dared to take enough risks and soar close enough to the sun. For a show which was always going to live or die on being a little bit different to end up being so formulaic was an unforgivable sin. Let Vexed rest in peace. Consign it to the graveyard of shows which were good ideas, but poorly executed. Posted in Entertainment, Other UK series, TV & film and tagged Lucy Punch, Moonlighting, review, Toby Stephens, TV, Vexed. Bookmark the permalink. I thought it was really enjoyable. Very tongue-in-cheek. Thanks for the comment, Jay. For me, it had real potential that was unfulfilled. Tongue-in-cheek, certainly. Funny, occasionally. 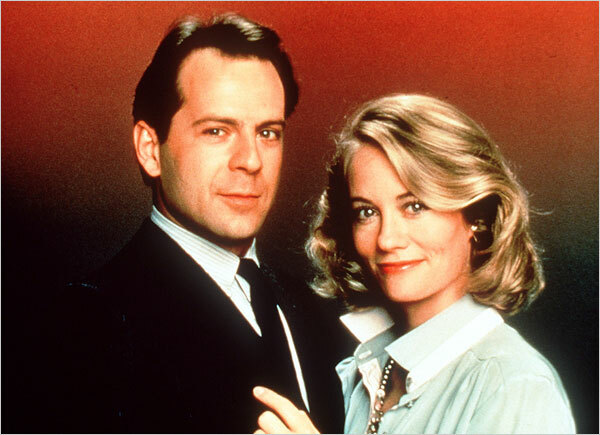 But it just lacked that magical spark that made Moonlighting an instant hit. Still, better to have tried in the first place! But I will be amazed if it returns. I agree this is the end of Vexed, both because of the Greenlit administration and because Lucy Punch seems to have moved to Hollywood and is doing much bigger things than this (Vexed was made a year ago, after all.) But I wish it weren’t over because I do think it had potential. What I found refreshing was the willingness of Howard Overman and the whole series to star a non-PC character. I get tired of being pummeled by the BBC’s party line even in productions which are supposed to be pure entertainment. And I thought that the third episode began to reveal some relationship chemistry between the main characters. Oh well…. You’re right, Lucy Punch has been very busy, hasn’t she? I have to admit, I’m not sure why, as she was okay here but the only thing that really struck me about her performance was how closely she resembles Catherine Tate, both in her appearance and some of her expressions. But Hollywood moves in strange ways, right? Good luck to her in her various projects. I agree with your point about having a non-PC lead. I think the problem I had with Jack is that they threw so many little quirks at him that he felt like an amalgam of lots of different characters, rather than a fully rounded personality. 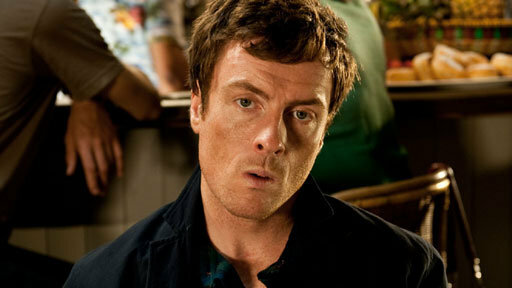 I really struggled to find him in any way likeable, although I’m not sure how much of that was the character himself and how much was Toby Stephens being directed to play him as a caricature, which at times felt a bit excessive even as a parody. Potential? Absolutely. We see a lot of stuff on our screens that should clearly never have been commissioned in the first place. I just wish they’d taken a bit more care and attention to fulfil that potential. Ah well. The final episode was only the 17th most-watched show on BBC2 for the week. With an audience of 1.90m, it performed worse than 4 of the 5 daily episodes of Eggheads, and was about on a par with Escape to the Country – both of which are tea-time rather than prime-time shows. For a show as (relatively) expensive to make as Vexed, with its production company in administration and with Lucy Punch busy on several other projects, I think it’s safe to say the BBC won’t be picking it up for a second season. If it had an audience closer to 3m, maybe. At 2m, though, no chance.